Sun Moon, Sea and Stars is an international collection of original works and arrangements by Bob Chilcott and some of his most talented colleagues from the choral world. This wide-ranging collection of choral settings encompasses archetypal English folk song, and new versions of French, Finnish and Japanese traditional melodies alongside classics from the Great American Songbook, all packaged in the richest of styles, scorings and moods. 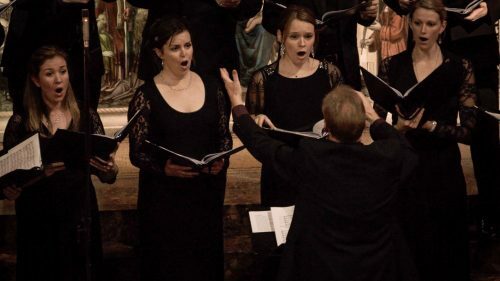 Enter this world of choral song in all its guises, and be enchanted by the virtuosity of the singers of Tenebrae Consort.